This Dover Urine Drainage Bag, Needle Sampling, Anti-Reflux Chamber, Drain Tube, Poly Bag, 2000 mL has a contoured design for more even filling and complete emptying. It has a 11/32" drainage tube that provides quick drainage, eliminates standing column of urine. It features a velcro hook and loop hanger, which fits securely on bedrails, wheelchairs, and a convenient carrying handle for ambulatory patients. 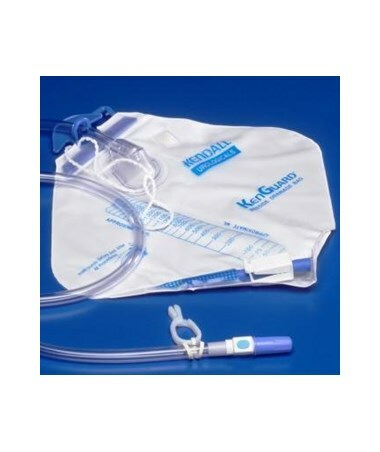 A drain bag is a urine collection device that is connected to a catheter in order to drain the contents of the bladder. 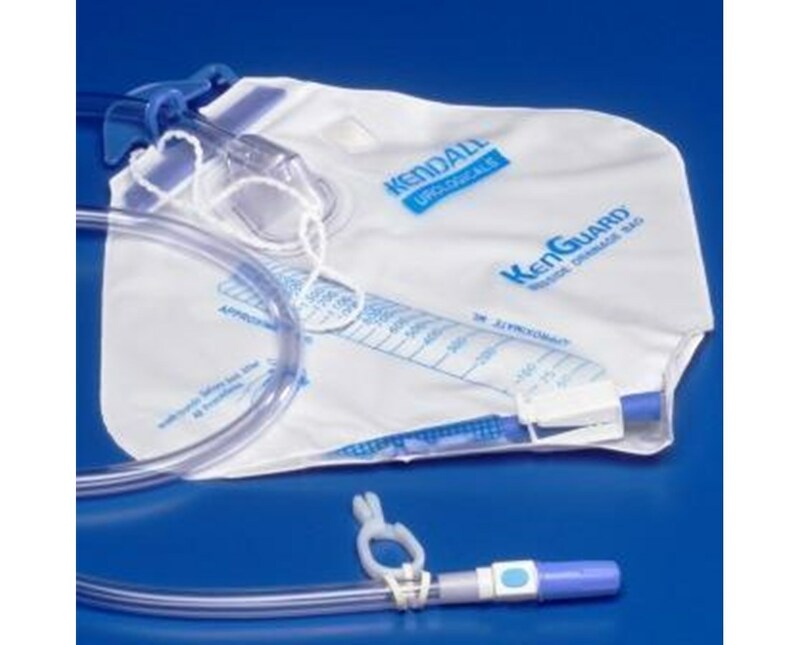 The Kendall line of drain bags have a 2000ml capacity and have available features such as the SPLASHGUARD II™ Drain Spout, SAFEGUARD™ Needleless Sampling Port, and MONO-FLO™ Anti-Reflux device.